The guys of the Offspring and 311 are embarking on a major North American tour together this summer, and in honor of the trek, the bands have each released covers of each other’s songs. The Offspring has recorded a new cover of 311’s “Down,” and meanwhile, 311 unleashed a new version at The Offspring’s “Self Esteem.” Both cover tunes are currently available via digital outlets. For those who prefer their music on was, the bands have released limited edition vinyl singles with the cover songs on Offspring.com and 311.com. The Offspring and 311 will hit the road on their North American tour, dubbed the Never-Ending Summer tour. The tour will set off July 25 in Mountain View, California, and run through a Sept. 9 date in Wichita, Kansas. 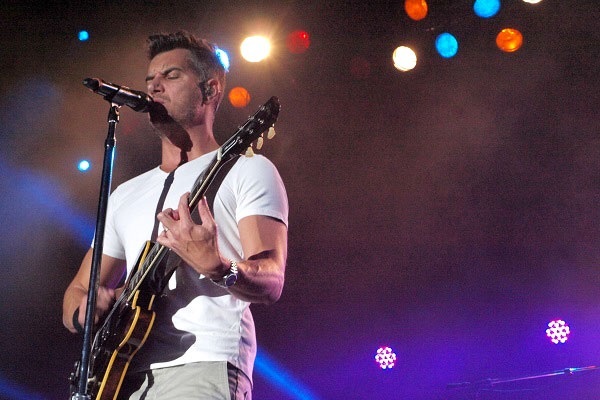 It’s a co-headlining run, with different nights featuring 311 and the Offspring in the closing spot.